Although the Irish government scheduled a series of referendums for 2018 and 2019 last month, the referendum on Irish participation in the Unitary Patent system was not one of them. In reaction to questions by Kluwer IP Law about the reason for the postponement, and whether it means there will definitely not be a referendum on the UPC in 2018 or 2019, the press office stated ‘there is no further clarification available at this time’. Though the ministry remains silent about its motivation, it seems likely the delay is linked to the uncertainty about the future of the Unitary Patent and Unified Patent Court, which has been created by the Brexit vote. It is broadly discussed (see here and here for instance) whether the UK can stay in the UP system and whether it can keep its branch of the central division of the UPC, once it exits the European Union. The constitutional complaint against the German ratification of the UPC Agreement is a source of uncertainty as well. 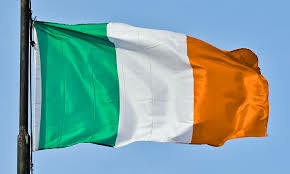 Ireland is one of the few member states of the UP system where a referendum is held as part of the ratification formalities. In Denmark a referendum was held on 25 May 2014. 62.5% of the Danish voters approved joining the UPC. So far, 14 member states have ratified the UPCA. If the UK and Germany ratify as well, the system will start. The UK may complete the ratification process later this year, but in Germany this depends on the decision of the Federal Constitutional Court about the complaint that has been filed against ratification.